He’s unpredictable, strangely likable and weirdly championed and he’s making his way to Australia and new Zealand. Lil Dicky is the LA-based rapper who became a Youtube sensation legit overnight when his debut video gathered a million views in just 24 hours. Since then, the entertainer has accumulated hundreds of millions of YT views, his debut album Professional Rapper (2015) went to #1 and his fanbase extends to his peers, including Snoop Dogg, Fetty Wap and Rich Homie Quan, all of whom appeared on the album. Lil Dicky launched twenty-eighteen with a infectious new single ‘Freaky Friday‘ featuring Chris Brown. The wild video of course parodies the film of the same name, depicting Dicky and Brown switching bodies but nobody could predict how his high-profile friends including Ed Sheeran, DJ Khaled and Kendall Jenner could possible feature. Suss it below. As a startlingly force in the rap game and going by his current trajectory, these will be the most intimate rooms Lil Dicky will play in Australia and New Zealand. Stopping by Auckland, Sydney, Brisbane and Melbourne, these shows are going to entertaining AF. Frontier pre-sale begins Thursday, 5 April. General public tickets go on sale Monday, 9 April. 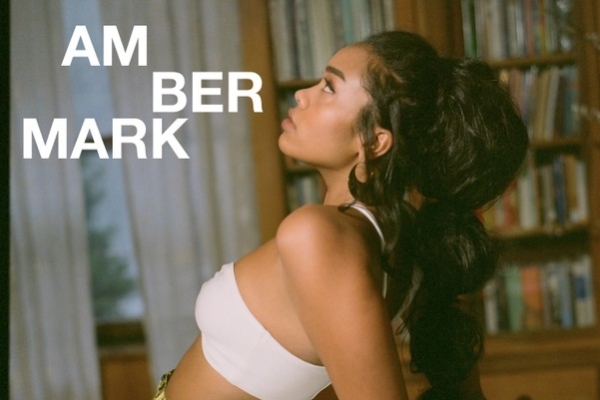 New York singer / songwriter / producer Amber Mark has returned with an atmospheric slice of contemporary soul lifted from her forthcoming v awaited EP Conexão. The self-produced ‘Love Me Right‘ dips low, combining slow-jam R&B undertones with piano-driven grooves. As always, the 23-year-old’s flawless vocals carry the single into powerhouse grounds with the ability to heal and sooth. “You tell me all the time/ I’m the light in your life/ And you love me more each day,” she sings, “Or is it just me? Am I not what you want?”. The new single follows on from the recently released melodic, yet high energy pop track ‘Heatwave‘ and her sophisticated EP 3:33am, which featured self-produced faves ‘S P A C E’ alongside ‘Can You Hear Me’ and ‘Monsoon’. Big vibes for this new EP to drop. Canadian hip hop prodigy Night Lovell has confirmed he will make his way to Australia and New Zealand for the very first time this April / May. At the young age of 20, Night Lovell has already impressively and independently released two full length albums, Concept Vague (2014) followed by Red Teenage Melody (2016). His elusive approach to hip hop combines experimental trap with impeccable flow and a certain darkness. Featuring a vocal contributions from Wavy Drexler, Dylan Brady, and Nessly and production from Dylan Brady, Blank Body, and glocque among others, Lovell is hitting his stride. A series of strong videos including; ‘Dark Night’, ‘Jamie’s Sin’ and ‘Fraud’ also stylistically link both projects with static landscapes and visual odes to his hometown of Ottawa, Canada. Following from his sell out tours across Canada, the USA and Europe, Lovell will now launch in Perth, Sydney, Brisbane, Melbourne and Auckland. The rest of the world will catch on soon enough. Frontier Touring pre-sale begins Thursday, 15 March (12noon AEDT/2pm NZDT). General public on sale Monday, 19 March (11am local time/1pm NZDT).